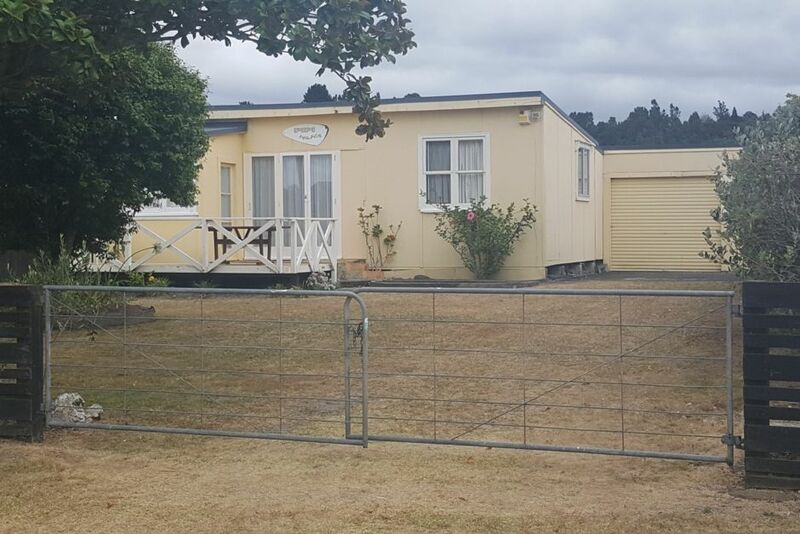 Pipi Palace is a traditional kiwi bach located 800 metres from both the surf beach and the estuary at the southern end of Whangamata. The nine hole golf course is only two streets away. There is plenty of room for parking (cars and boat - easy access). In addition to sleeping five comfortably in the main house (two double plus one single bedrooms), the bunk house has room for another couple with a queen sized bed. The large front deck offers breakfast with the rising sun (for the early birds) or a place to just relax and soak up the rays, and the spacious deck at the rear allows one to relax after a hard day at the beach and unwind as you watch the sun set over the Coromandel ranges, or cooking up the catch of the day on the BBQ. Beautiful spring water is on tap courtesy of the on-site bore. Staying in for the evening? A 42" widescreen TV with DVD Player, plus Freeview reception fits the bill, or choose from a range of board games to play or a substantial library of books to read. This was our second stay at Pipi Palace. Love the upgrades, cosy place with everything you need for a relaxing break. So great to be able to bring our fur baby. We'll be back. Had everything we needed. Clean and had a great feeling about it. We tried to get WiFi connected before Christmas, but it wasn't to be....the good news is that it should be up & running by the end of this week. We're sorry it wasn't ready in time for your stay.